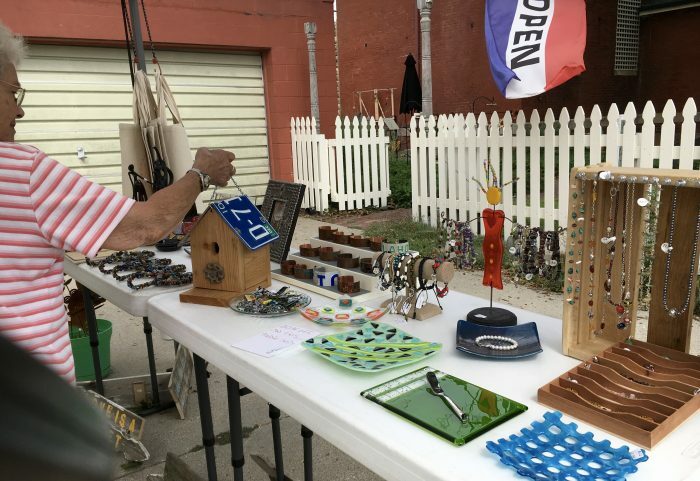 1st Avenue Collective in the old Madison County Jail has an eclectic mix of goodies you won’t want to miss, especially in this nice weather. 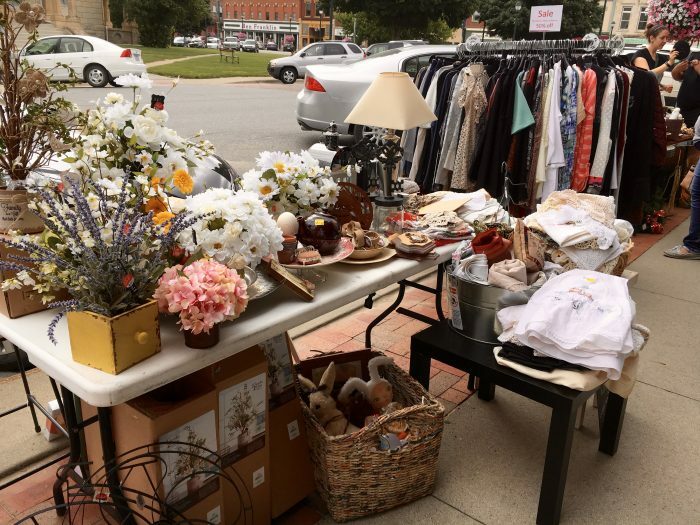 Angel Wings & CT has 30-70% off select clothing, home and seasonal decor, jewelry, hats, and more. 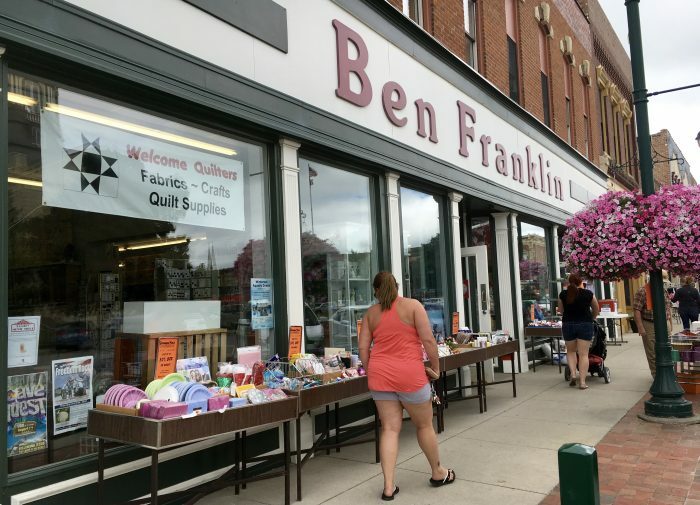 Ben Franklin has lots of 50% off clearance items and free, ice-cold water for thirsty shoppers. 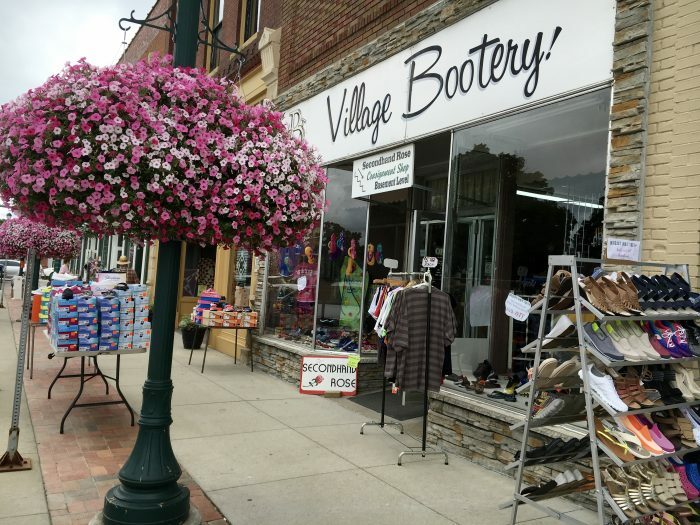 Village Bootery has bargains inside and out, with 20% off all regular price merchandise — perfect timing for back-to-school. 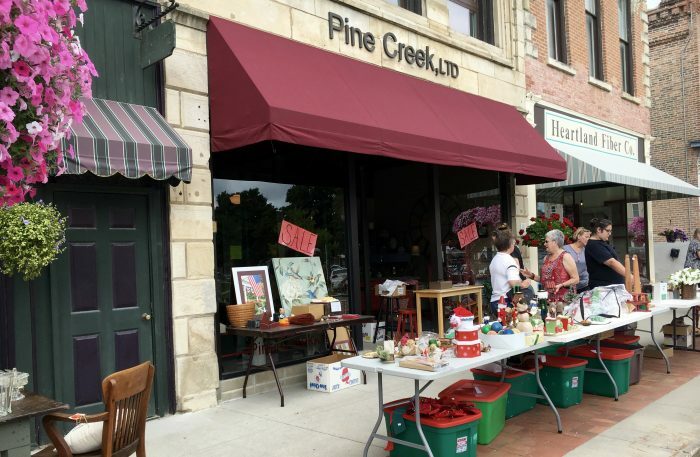 Pine Creek has something for everyone, and lots of sale prices on seasonal decor and gifts. 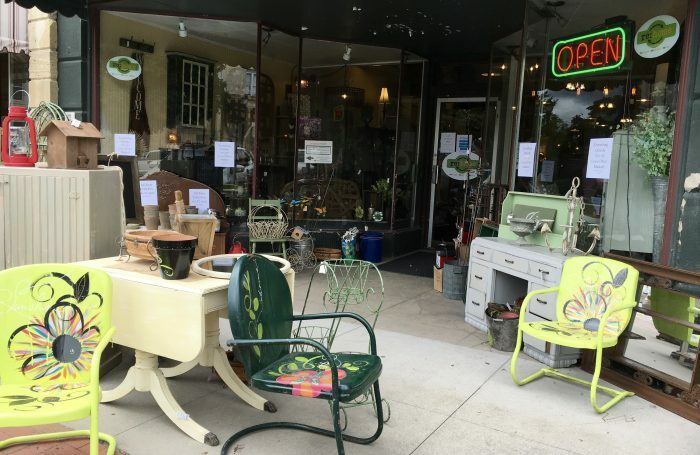 Re:home has some of their popular Jeff Tadsen art pieces outside, and lots more inside. This is just a sampling of what’s available uptown this weekend. While you’re making the rounds, be sure not to miss the alley behind Montross Pharmacy and Gift Shop for their deals of the day. You might spot this awesome group of helpers, doing Krazy Dayz right! And a bonus for Saturday morning — the farmers market on the square from 8:00 to noon will feature sweetcorn and tomatoes, and Farmers & Merchants State Bank will be giving away free popcorn from 9:00 to 11:00. 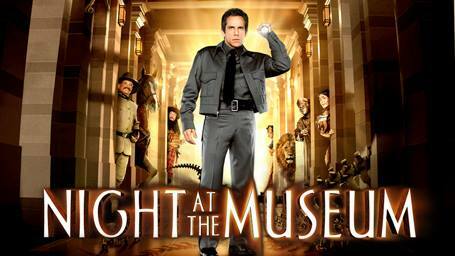 Next Friday, August 5th, bring a chair and a blanket and join The Iowa Theater for an outdoor presentation of the family-friendly movie, “Night at the Museum” at the Madison County Historical Complex. The film begins at sundown (8:15 pm) and there will be concessions available for purchase. This event is free and open to the public of all ages. Visit the-iowa.com to learn about the restoration of the historic Iowa Theater, now under re-construction and aiming for re-opening in May of 2017. 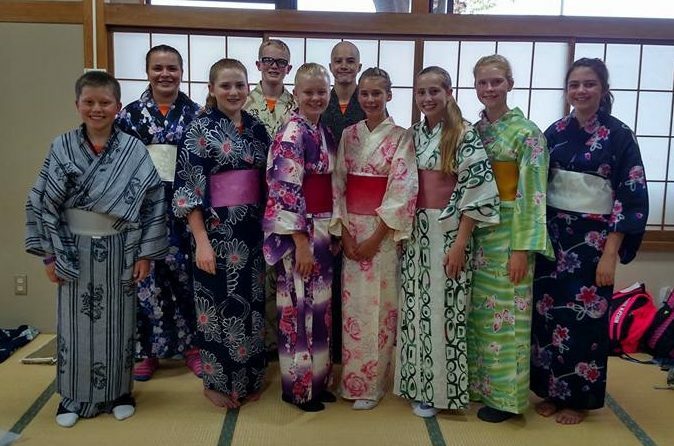 Finally, here is a photo of our students who are currently in Minami Alps, Japan, representing the City of Winterset in the Japanese Friendship Exchange program that has been going on annually since 1992. 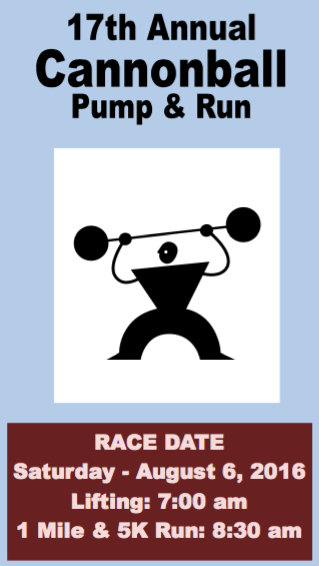 They will return home late in the evening on August 4th. Chaperones are Dr. Amy Kimball, Candi Dole, and Holly Peña. 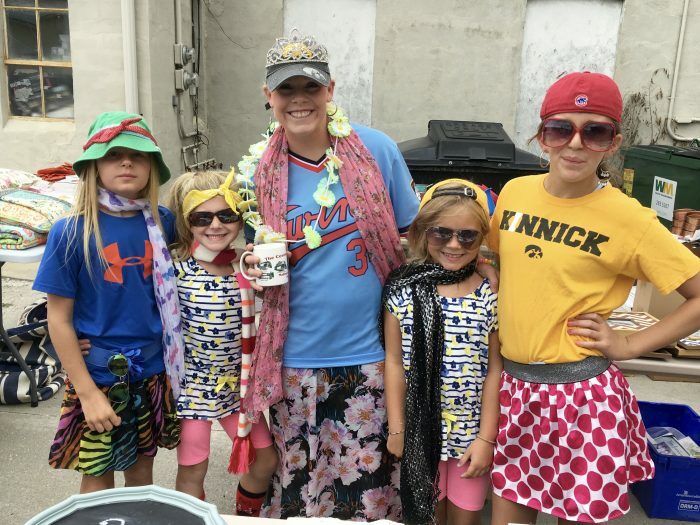 From left to right: Nicholas Peña, Khloe King, Kinsey Beebe, Jackson Kimball, Emma Dole, Carson Boyle, Paige Anderson, Kailey Beebe, Kiernan Blanchard, and Mara Feirer.